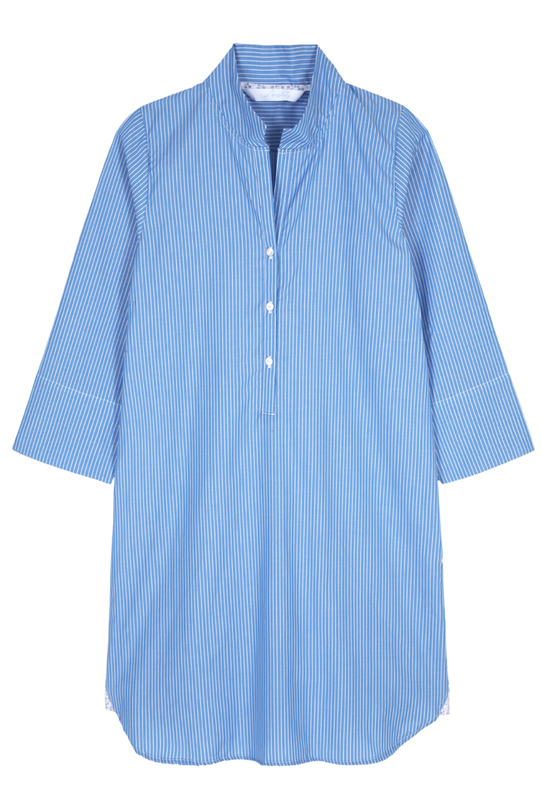 The Angelily Rebecca Striped Nightshirt in turquoise is the classic nightshirt reinvented. Made from the finest quality woven Egyptian cotton, the intricate detailing of the contrast piping and classic shirt gussets make the Rebecca nightshirt from Angelily a sleepwear essential. The shirt also includes the brand’s signature lily. 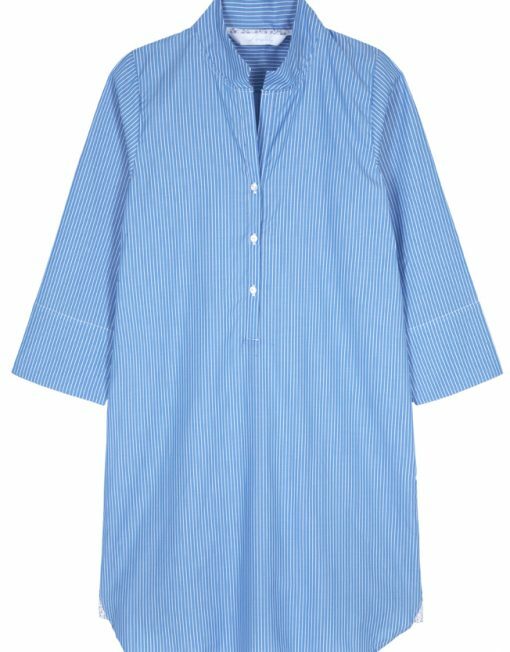 This amazing nightshirt for women offers a gorgeous turquoise/teal stripe pattern along with amazing comfort which will make it a great addition to any girl’s nightwear drawer.